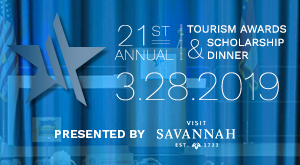 Savannah 101 is an introductory guide presented by the Tourism Leadership Council. As the “Hostess City of the South” we have a reputation to uphold. That reputation of being hospitable hinges on us. Are we welcoming to people who visit? Do we answer their questions no matter how inane? Do we thank them for pouring millions of dollars into our community? It doesn’t matter if you’re in the business of serving those guests firsthand. We all can take part in welcoming those from out of town. After all, it’s this Savannah brand that highlights the place we all love. 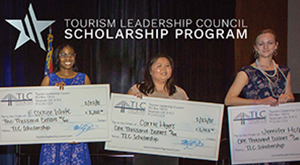 At the Tourism Leadership Council (TLC), we’re solidly working on ways to provide materials to help in our mission to be the most hospitable city. Part of that brand is being able to answer basic questions about Savannah. Nearly ten years ago, the TLC put together a basic booklet about the history of Savannah. It included history of the squares, part of the heritage of our land, and some of the basic offerings of our city. In the last ten years, the history of our land has not changed, but the ways we move around our city certainly has. That’s why we’ve spent the last few months updating the information and revamping the design. TLC member Dottie Barrett, a licensed tour guide, was the originator of Savannah 101. “It was a way for people working in the frontlines of hospitality to have the basics of how to navigate through the city,” said Barrett. In the latest edition, we tapped local historian, tour guide, and author James Caskey to provide some more details about the history of our city. He provided details of the city’s founding fathers as well as details throughout our history and up until today. It’s by no means all-inclusive, but Savannah 101 does contain the basics of our town plan, some of the architecture, history of certain neighborhoods, and our African American history. There’s also a section on transportation and moving through the historic district. We’ve also included some of the major annual festivals so people can know what’s coming up. There has been much thought into what was included in the booklet. We’re offering the new edition online free to TLC members. We’re encouraging all of those people who work in the tourism industry to include this as part of their hiring package so that all might be educated. Click below to read or download your copy of Savannah 101.